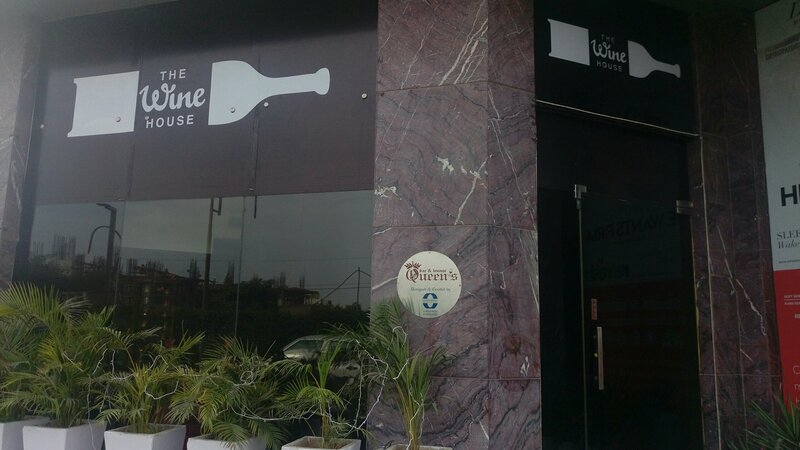 Wine lover or not , this place is going to offer you a great dinning experience. 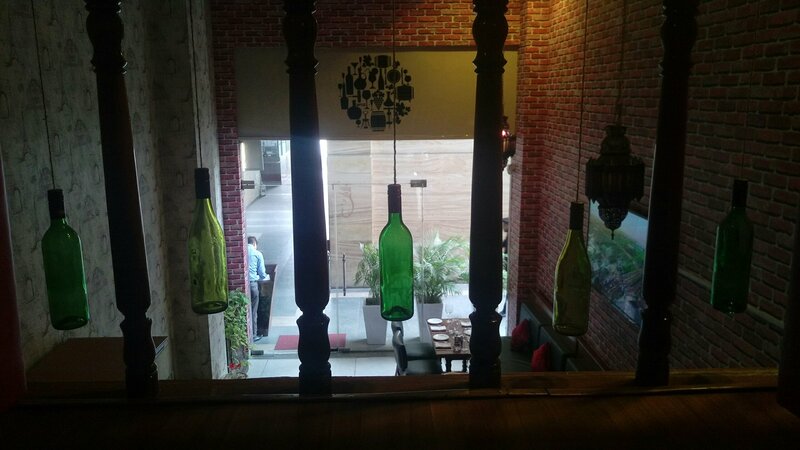 Amazing food and great ambience defines this place. Earlier known as Queen’s bar and lounge is now renamed as The Wine House however you will still find old logo on a lot of things in the restaurant . 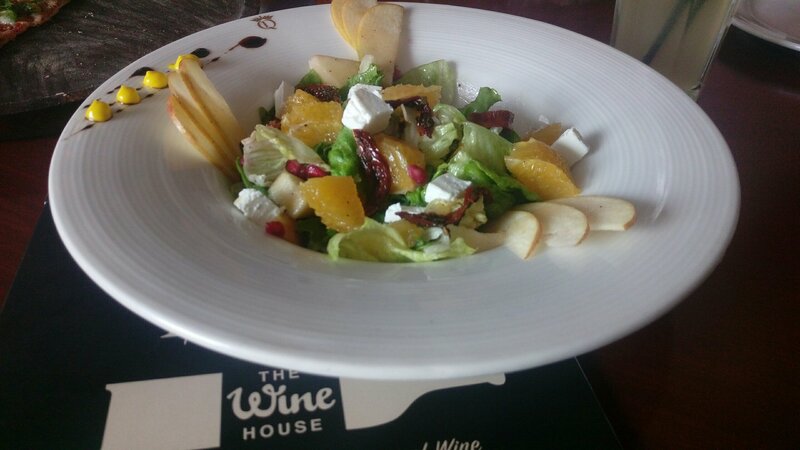 So how to reach The Wine House at Good Earth CityCentre? Well, just next to Looks Salon and opposite Keventers in the second corridor, walk past Beer Cafe, and if you’d decided to take lift, as preferred by most when arriving empty stomach, just take left as soon you come out of the lift to find The Wine Bar. 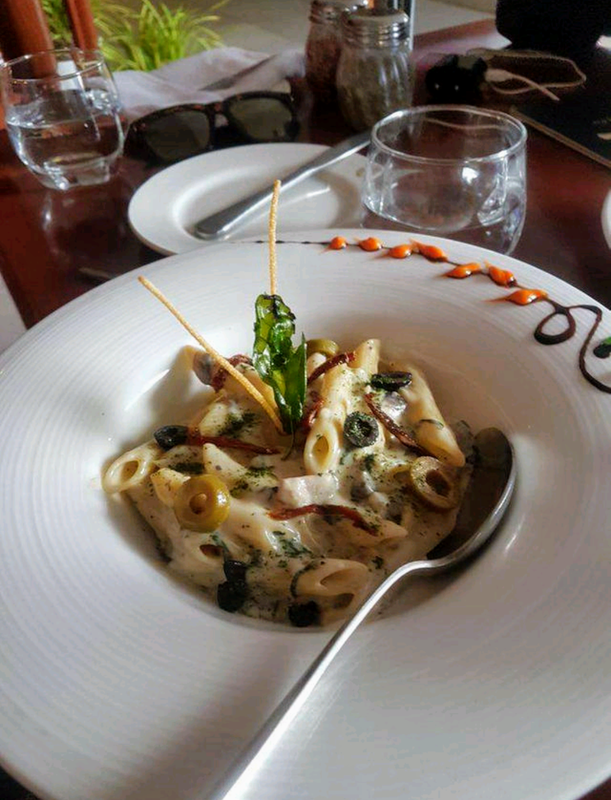 ​What I had with me was a small group 4 close friends craving for Italian cuisine for sometime so it only took a heartbeat to decide what to order from limited menu. 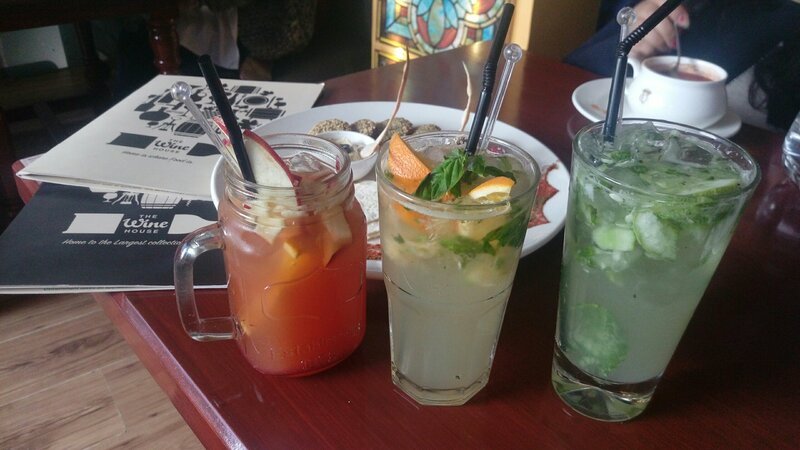 Coincident as it was, we all preferred for drink was all our love of fruity flavors, mint and of course fruit. I am sure it might have crossed your mind why not order wine in a Wine Bar? Well, I am a teetotaler since start of time and none of my preferred mock-tails over a glass of wine or two on busy workday. Needless to say didn’t regret with our drink Cucumber cooler, Mock Shine Sangria and Atomic Cat. All three looked full of colors and made us so refreshed . 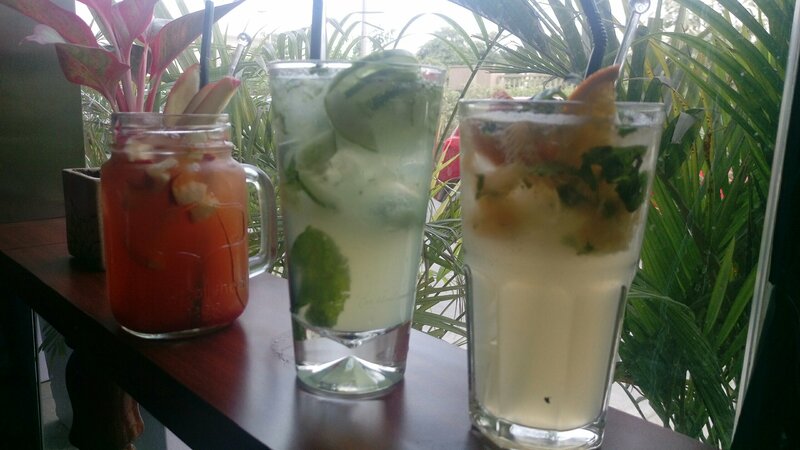 Fresh and good looking 🙂 the mocktails were really good. Exotic Fruits and Garden green Salad : Someone like me who hogs a bowl fruits and salad to survive the day couldn’t have chosen any salad but one with fruits as key ingredient. So here was my salad all healthy & fresh without any guilt but with Feta cheese it became quite a meal. Still never mind a bowl a fruit salad. 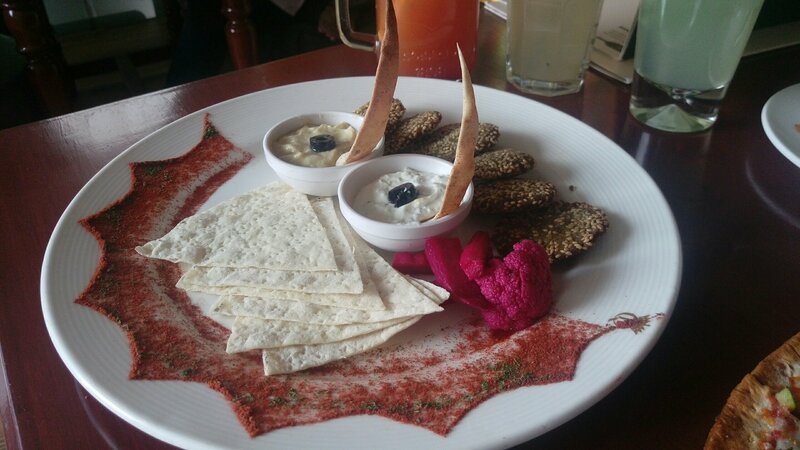 And of course next starter of mine was Hummus & Falafal platter which always makes it to my list, if available on the menu. With great hope there came a bit disappointing dish which was presented superbly but was average in taste probably the Tikki was extra crispy fried and very thin. But hummus and Tzatziki sauce were very nice did save the day for us. And then arrived, synonyms of Italian cuisine worldwide, the Gourmet Italiano Pizza, we went for their special pizza which has a thin-crust base. Very crunchy and the toppings were fresh and succulent. Loved it till last bite and beyond. 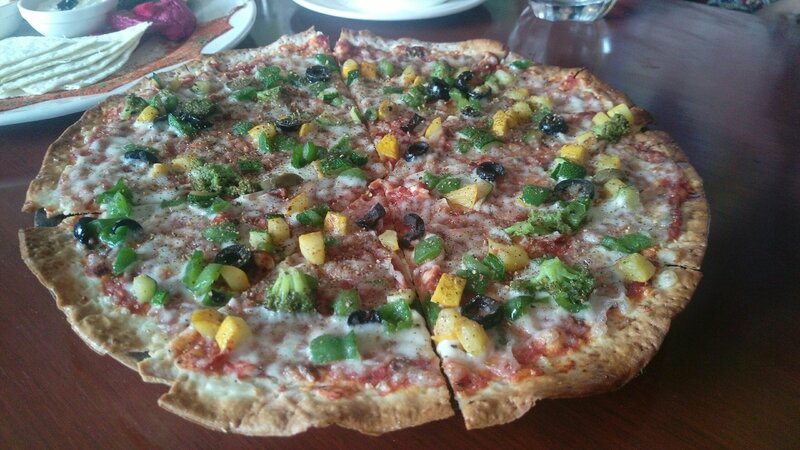 If you don’t like thin-crust then choice is all yours to get disappointed. Pasta : While we ordered for a white sauce pasta, we all were discussing recipe for white sauce pasta. And the moment we glimpse our pasta making it to our table, we decided to dig into it rather discussing the recipe for good taste sake. We made a pact to ourselves to come to The Wine house and enjoy white sauce pasta when we can. Desserts : This known to be my favorite part of the multi-course meal. Sometime I do start with Desserts and end it too with Desserts with a fruit salad bowl in-between. I have already decided on my my next visit to The Wine Bar will exactly be like this. An honest confession indeed. Then they have an extensive Gelato menu and we opted for Mango flavored one. Like a fresh mango from our own backyard, this dessert ice-cream melted in mouth and was so orgasmic with a strong flavor of Mango – ask for Mad Mango Gelato – just for your reference so you don’t revisit that famous scene from When Harry Met Sally. Wink Wink. 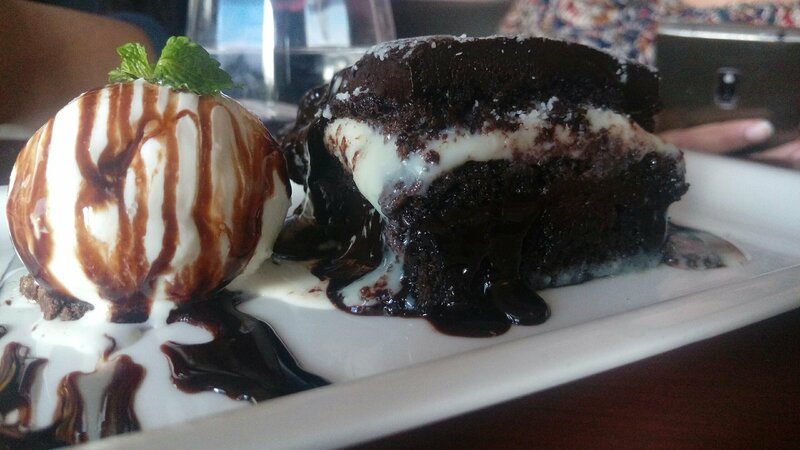 And for cake lovers our next item was – Death by Chocolate just for its looks, texture and the blend of tastes. 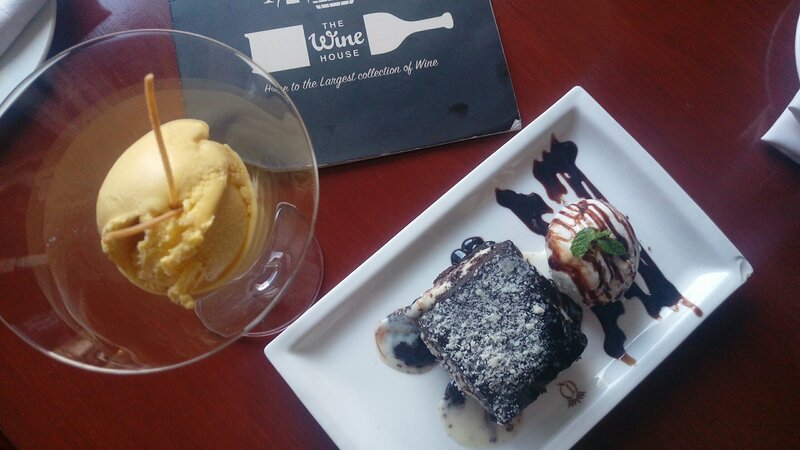 Frankly, the recommendation was by the Wine Bar team for it’s Chocolate Lasagna Slice – with two types of truffle layers with sponge. 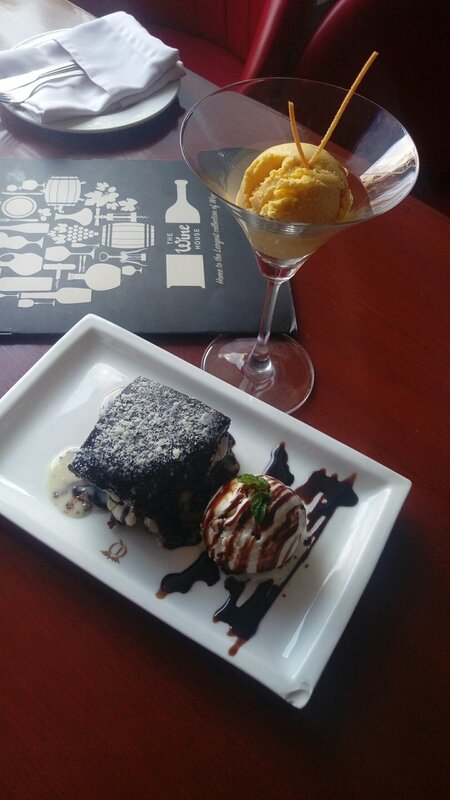 It was served with a scoop of vanilla ice cream for our delight. 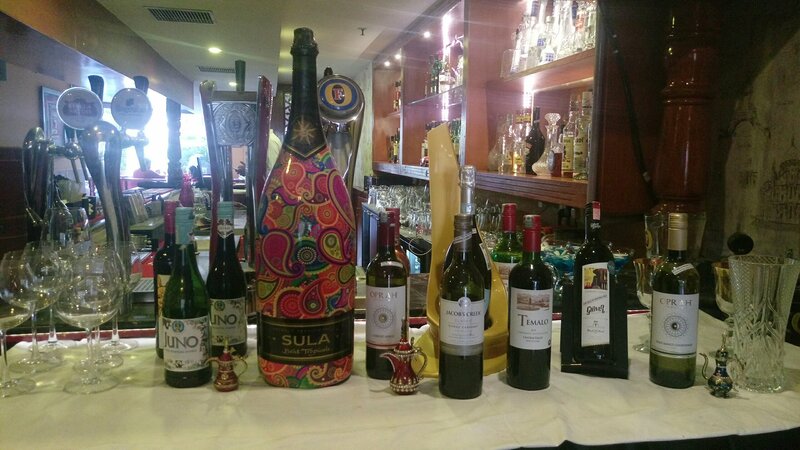 What’s special about this place : As the name goes it’s a fine place and have curated wine from all over the world. 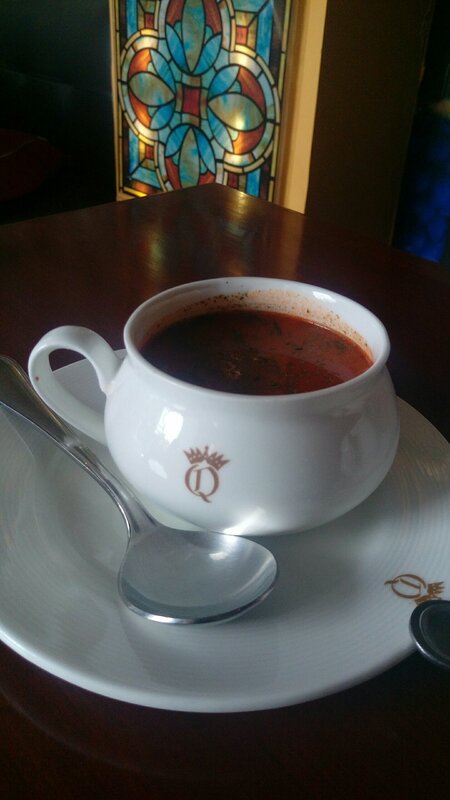 They serve the widest multicuisine menu here, the raw material is directly being ordered from farmers of Uttarakhand. And great focus is put on presentation of food after all we eat with our sense ans taste is just one of the sense. The food here pampers all your senses.